KARACHI : In what was termed as “dismissal on technical basis” in regards to Punjab governor’s latest order, Meesha Shafi’s counsel forwarded the matter to Lahore High Court (LHC) via writ petition filed on August 1. The recent unfolding came after the Punjab governor dismissed Shafi’s complaint against the Teefa in Trouble actor, under the Protection against Harassment of Women at Workplace Act 2010. Following the petition, a hearing held the next day premised on its contents. 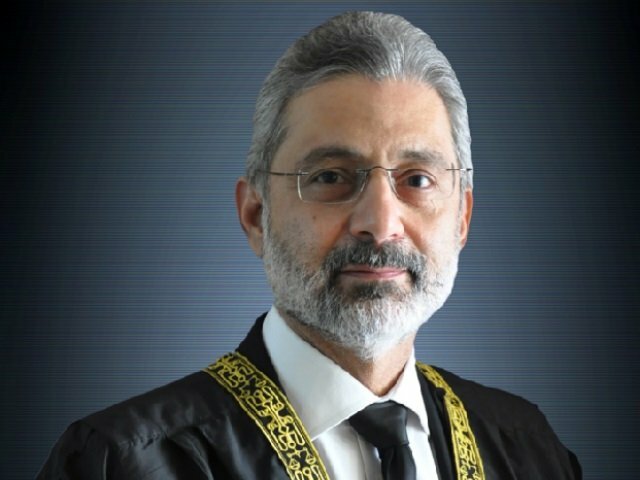 “The honourable judge issued notices to the ombudsman, governor and Ali Zafar to reply to the petition,” Shafi’s lawyer Ahmed Pansota told The Express Tribune. Speaking on the matter, Pansota explained the grounds that formed the basis of the petition. Therein, Shafi’s legal team clarified their stance that she and Zafar were to perform in Islamabad under a contract with JS Events. Pansota specified that section 2L of the act defines organisation, which includes any physical work space one is obliged to go to for work. The alleged harassment took place at Ali’s studio during practice sessions, which deems the incident as “workplace harassment”. Furthermore, the writ petition, as per the act section 2F of the act, identified the definition of an employee, which includes a regular or contractual employee. By virtue of contract, the aforementioned relationship between Shafi and the JS Bank therefore existed. On the occasion, Shafi’s counsel also raised, “The emphasis of the act isn’t employer-employee relationship but to guarantee a safe working environment free from sexual harassment.” In light furtherance, Pansota remarked that a judgment by the honourable high court reported as 2013 MLD 225 states that even educational institutions fall under the act because it’s happening at workplace. Responding to the order of the governor, another ground of the petition defined sexual harassment as per the law as an “unwelcome sexual advance”. According to the contract, no ‘employer-employee’ rights were agreed. However, Pansota countered that this is not sustainable in the eyes of law for matters such as sexual harassment. “Employer-employee rights may disqualify someone from pension and gratuity but it sure doesn’t enable blanket for acts like harassment,” he furthered. Lastly, Barrister Pansota asserted that laws contain ‘preamble of statute’, which in laymen terms is defined as legislative intent. “The intent behind this legislation is to allow women to enter the workplace, whereby sexual harassment doesn’t hinder their growth in order for them to contribute to the national gross domestic product (GDP),” he elaborated. A member of Zafar’s legal team, Ambreen Qureshi, pointed out that the opposition demanded the court to immediately suspend the governor’s order. However, the judge only issued notice but succumb to the demands. Instead he said, “We will hear both parties out in the next hearing”. High Court Advocate Aleena Alavi commented that the gap lies between the interpretation of what constitutes as workplace as per the discretion of the governor and ombudsman. “Even if I am at home for work, it counts as workplace,” she added. Alavi said that another avenue is to lodge a complaint under Section 509 of Pakistan Penal Code which is “insulting the modesty of woman or sexually harassing them”, which is a criminal procedure. For harassment through electronic means, Alavi continued, that a complaint can be filed under Protection of Electronic Crimes Act 2016.